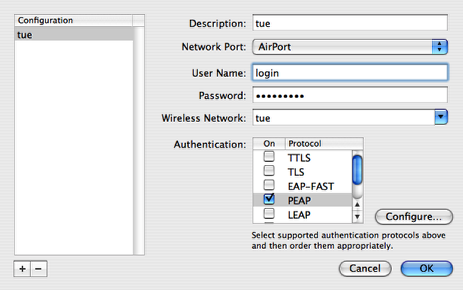 Connecting to the wireless network at the TU/e with Mac OS X 10.4 (Tiger) | Christoph Bartneck, Ph.D. 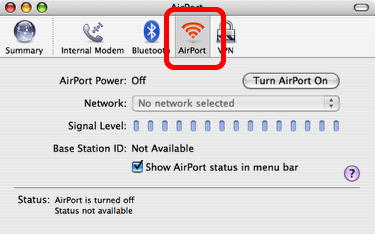 The Eindhoven University of Technology has as wireless network that you can access with your Mac. Follow the instructions and hopefully you will be able to wirelessly surf the net. 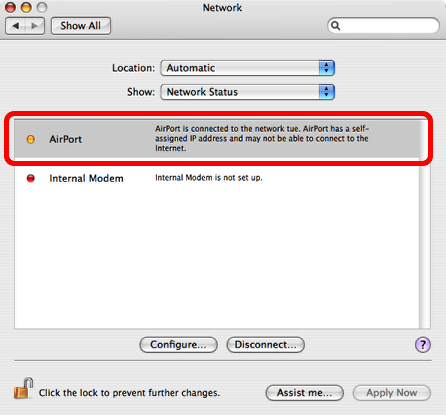 Before you start, you have to make sure that the MAC address of your Airport adapter is registered at Service Desk. Double click on the AirPort row. 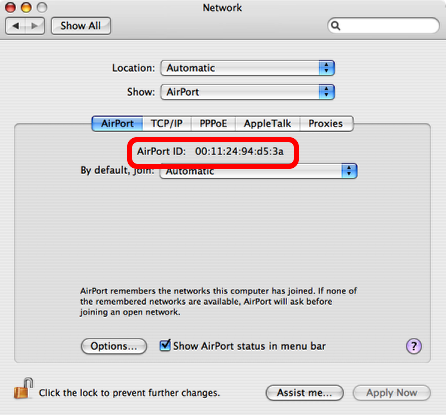 Copy the AirPort ID (MAC address) and ask the Service Desk to register it. 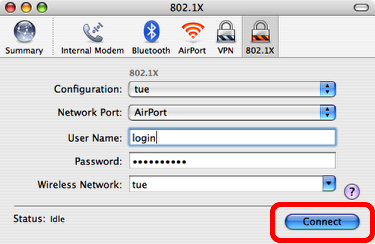 They will also ask for a computer name, which is determined by the name you gave your computer in the “Sharing” panel of the system preferences. Do not use space or any other special character for your computer name. 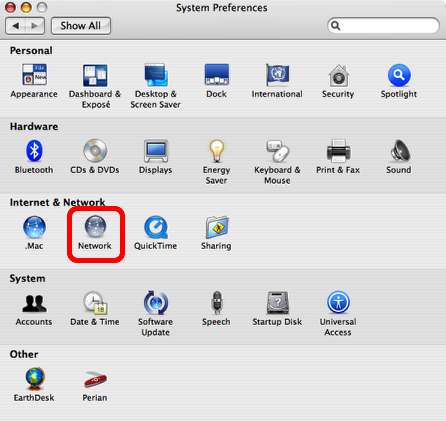 Open the program “Internet Connect” which is located in your applications folder. Activate the AirPort tab. 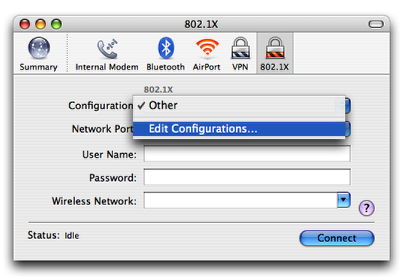 Go the file menu and select “New 802.1X Connection”. The line in the picture above is already greyed out since I already had added such a connection. You can only have one such connection. In your case it should be not greyed out. Select “Edit Configuration” from the pull down menu. Change the configuration to match the screen above. Use your windows login and password for `User Name and Password. It is the same that you use for all other TU/e services, such as webmail. Select the PEAP authentication method. You do not need to configure it any further. Click “OK”. 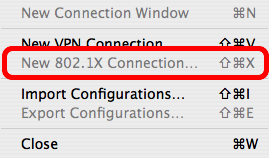 You are now ready to connect to the wireless network. Click on “Connect”. The system might ask you to accept a certificate. Just accept it.